Two of James Montagna's most well known games are Adventure Time: Hey Ice King Why'd You Steal Our Garbage?!! and Wonder Momo. These games sold because of their characters. Wonder Momo had built up a strong following through her comic strip on Shifty Look, and Adventure Time was a worldwide merchandising phenomenon by the time it first hit the market. I'd imagine designing a game that features beloved characters must be a double-edged sword. Expectations are higher, but so are potential for sales. The pressure is on to design something that does justice to the source material, but on the other end, its the source material that will inevitably be the star of the show, not the design decisions. Maybe that's why James has designed his first "solo project" on videogame consoles to be something almost completely abstract. The only literal depictions of in-game characters coming form virtual "marquee art" that appears on the side of the screen. All the action takes place between on a field of simple flashing lights. That's just one of the ways Dot Arcade hearkens back to a day long before Montagna was even born, when electronic games were more analog than digital, where actual light bulbs worked as individual "pixels" and the language of videogames as we know it was still largely unwritten. It's a little hard to believe Dot Arcade is real, but according to James, "The game is actually finished. It's ESRB rated, and completely Nintendo Lot Check approved -- I just have to decide the release date and let Nintendo know when to pull the trigger." 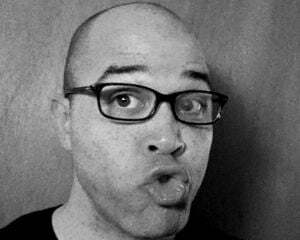 James isn't working on the game entirely on his own. He's partnered with talented programmer and composer Andrew Lim to help bring the game to life. James tells us Dot Arcade "...started off its life as a physical system prototype! 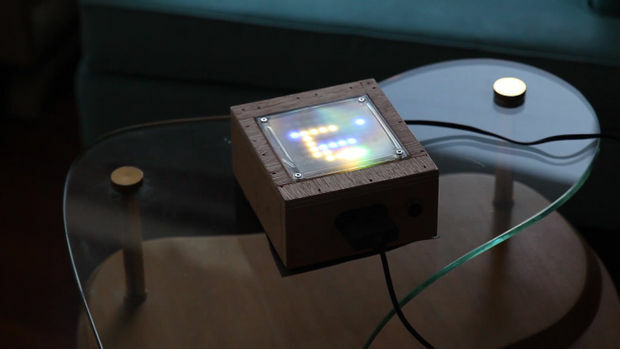 It was essentially a wooden box with an 8x8 LED grid and a SNES controller plugged in. A perfect accessory for any coffee table." Hearing that, my mind immediately turned to Tenya Wanya Teens, a game I've been excited about but unable to play for years. It hasn't been released to the public, and is only available at events due to its unique, lightbulb-intensive controller. James knew what I was talking about, stating "Tenya Wanya Teens came up as a topic a few times during our development -- I think there's a really similar spirit behind that as there is with Dot Arcade." So how did James and Andrew get around the limitation that comes with creating unique hardware for a game? It wasn't an overnight process. According to James "...creating and manufacturing physical hardware is really complicated for just two dudes alone. But the dot games were a sensation with everyone we showed them to, and co-workers at Andrew's day job nearly made it a ritual to have lunch session showdowns for the highest scores. It's definitely the type of game that brings people together, and I remember that's one of the things I mentioned hoping to put special focus on as far back as when I appeared on Sup Holmes." Luckily for us, that passion for bringing people together just happened to be a perfect fit for Nintendo's latest home console. James said "We wanted to find some way we could share the dot games with the rest of the world, and Wii U seemed like the right fit. It was important that the experience emphasize the more intimate GamePad screen, but also beneficial to broadcast gameplay to others in the room on T... and taking it a step further, share scores with friends anywhere through Miiverse! So we started development on the collection of games, Dot Arcade." 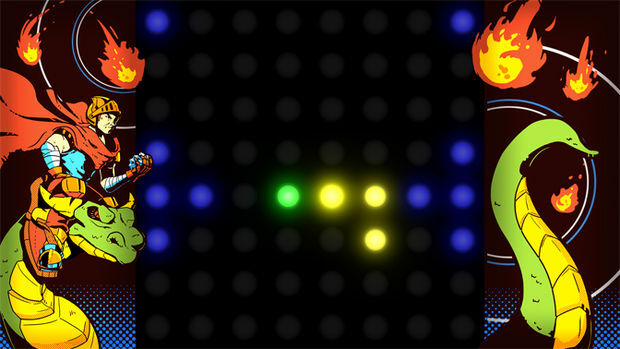 Dot Arcade isn't one game, but a collection of three games -- Mr. Snake, Dodge Club, and Rally Driver. Each uses the same 8x8 screen of virtual flashing lights to display the action. 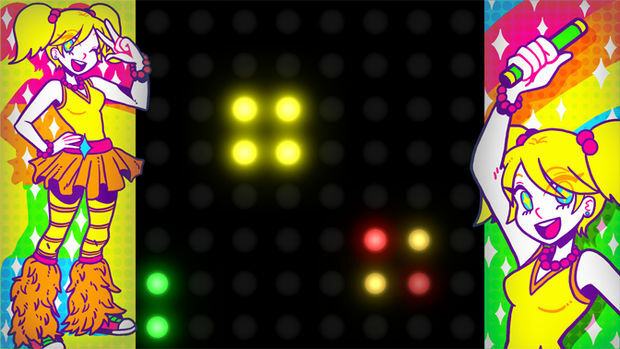 It's something like the classic Lite Brite art-toy with a mind of its own. Each game has it's own "cabinet artwork" created by a featured guest artist like Jordan Canales and Jeremy Hobbs. While the game wont be out until "probably next month," James isn't shy about letting us know about his future plans for the series, such as "...secret extra cabinets for each game." and a plan to make "...Dot Arcade into something like a bit Generations series and introduce Dot Arcade Vol. 2 with three new games/featured artists... and so on, as long as there's an audience with interest!" 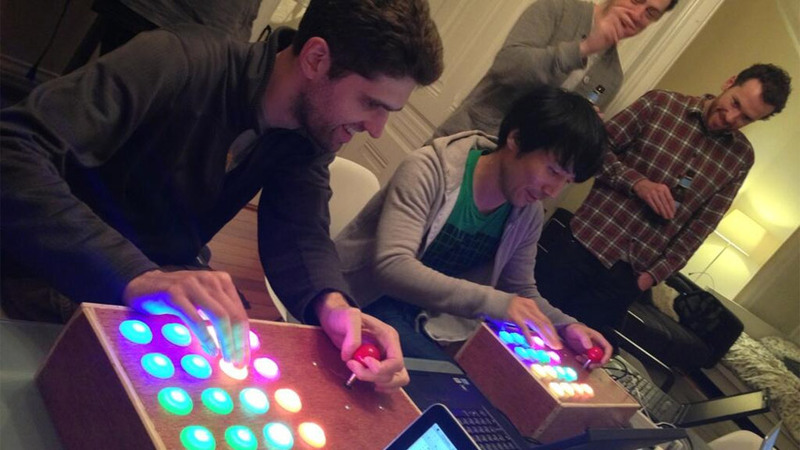 It will be interesting to see how enthusiasts react to Dot Arcade. James is well aware that "The end result is a bit tricky to describe" and"static screenshots don't seem to do the games justice" but he's hopeful they'll still find their audience. Like so many successful solo designers before him, James loves videogames, and he's made a game that he and his friends really enjoy. That gives him faith other people will enjoy it too, as according to James, Dot Arcade is "...the most raw form of video game -- there's no story other than what's implied by the cabinet art, and there's no real game graphics to speak of, just a focus on having fun manipulating an object on the screen. They're entertaining in a way that's shared only with the most vintage of video games. " Some cynics assume "vintage" games are all trying to pass off a lack of ambition as "8-bit cool", but that's not the case with Dot Arcade. James and Andrew worked hard to make sure the games provide something fresh while remaining true to the fundamentals, stating they've "...even paid special attention to detail throughout the experience, and kept everything authentic to how it worked on our physical hardware. The beeping / buzzing sound effects, frame-by-frame input feedback, slowdown with many objects on screen... as well as details outside the gameplay, where the menu music on the TV and GamePad are different, but complement each other in unison. We've only seen first party Nintendo games try to pull this off." I take Dot Arcade to be the riskiest type of "retro" game. It's not the type of game many are nostalgic for, and like James said, it's not a game that can sell itself on screenshots and characters alone. Like the 16x16 pixel Zelda demake from a while back, Dot Arcade gets by on a combination of the strength of its design and the imagination of its players. The fact James has enough faith in himself and his potential fans to put out a game like Dot Arcade speaks to love of videogames and the people who play them.